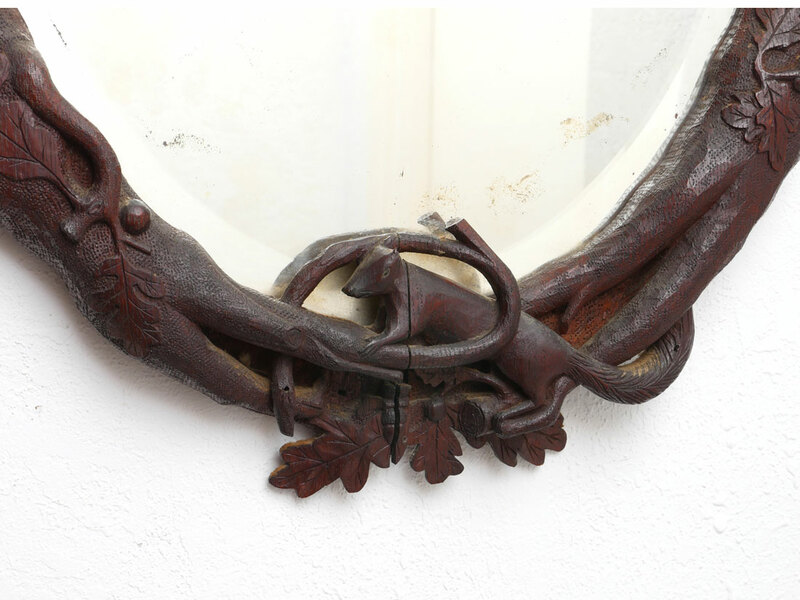 GERMAN BLACK FOREST CARVED OAK MIRROR: Oval carved oak frame with acorns, leaves, and squirrel. Overall measures 33 1/2'' h. x 22'' x 2 1/4''. 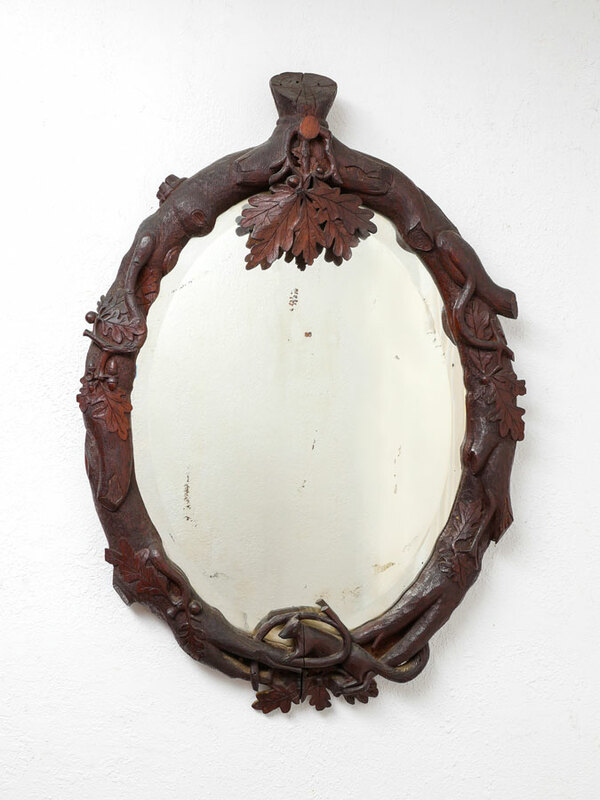 CONDITION: Appears to have a piece of missing decoration at top, age split at bottom.